I don't have enough experience to deal these conditions, my surfstyle is not working. I tried some different things during testing. 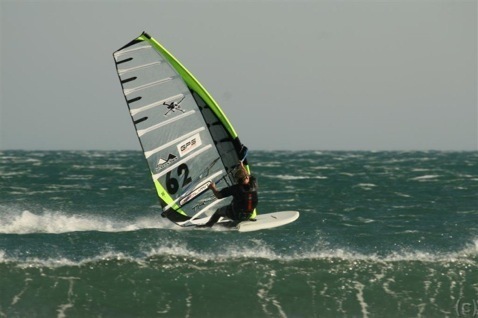 In the end it was fastest the "Martin van Meurs-method"
The fins, this will be one of the first this Joerg and I decided to test. If we can make it work by changing the fins/ lay-up than tight-angles will work like broad angles..